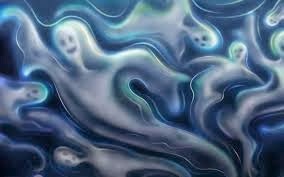 Ghosts are always present in the celebrations of Halloween, we could even say that they are among some of their distinctive characters. In the following images and photos, we present a variety of Halloween ghosts. 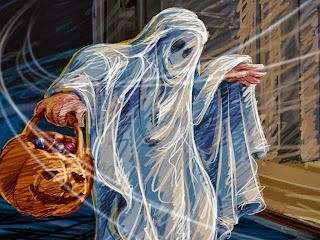 An animated image with a Halloween Ghost moving the tale. A Halloween ghost leaving a pumpkin. A Halloween ghost in black and white. 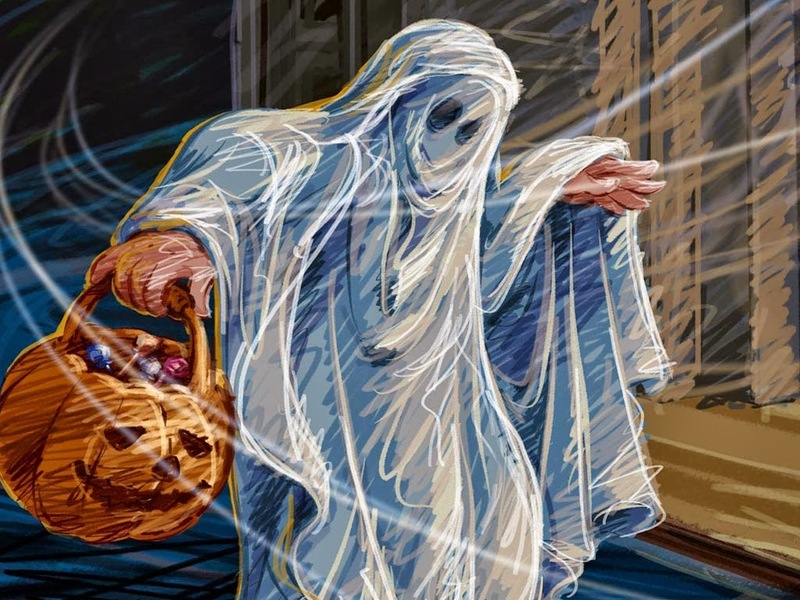 A Halloween ghost leaving a house. 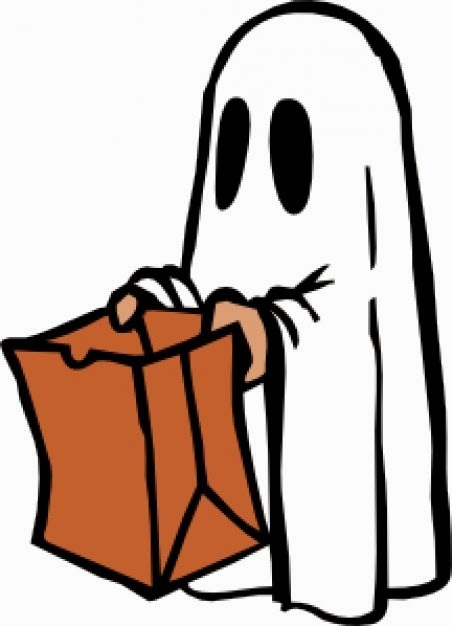 A Halloween Ghost holding a carved pumpkin. A Halloween Ghost with a spider. A Halloween ghost with a paper bag on his hands. A Halloween ghost with a pumpkin. A Halloween image with many ghosts. Halloween Ghosts coming out of their graves.